From its inception, the project has had one driving purpose: to support the furry creatures who so enhance our lives with love and loyalty. Now, at last, that purpose has materialized with energy and joy as a 12-track compilation album of tender tunes that honor our four-legged friends. Rescue Me! is a heartfelt collection of Americana music featuring songs that are thought-provoking, uplifting, engaging, and downright funny. “We invite others to join us in raising awareness of and providing financial support to animal rescue organizations,” says Blue Night Records’ President, Steven Briggs, who co-produced the album with singer/songwriter Amy White. All of the tracks on Rescue Me! were donated to the project by the songwriters and performers: Mary Ann Kennedy, Kathy Chiavola, Cindy Mangsen, Robin Flower, Libby McLaren, Annie Lalley, Heidi Muller, Mark Weems, Ashley Jo Farmer, Friction Farm (Aidan Quinn & Christine Stay), Effron White, Jamie Anderson, Amy White, and Joel Mabus. And with great joy, Blue Night Records has pledged to donate all of its profits from Rescue Me! sales and full CD downloads to animal welfare organizations. 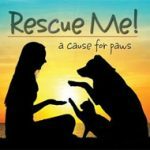 Pre-orders for Rescue Me! will be available starting on Valentine’s Day, February 14, 2017. The formal release date is National Adopt a Shelter Pet Day, April 30, 2017. Claire Ratliff, Laughing Penquin Publicity, (615) 720-8530 (www.penguinpublicity.com). “Rescue Me!” is available now for immediate airplay.